Star Trek Theme Wedding Present! – Star Trek Themed Caricature Gift! 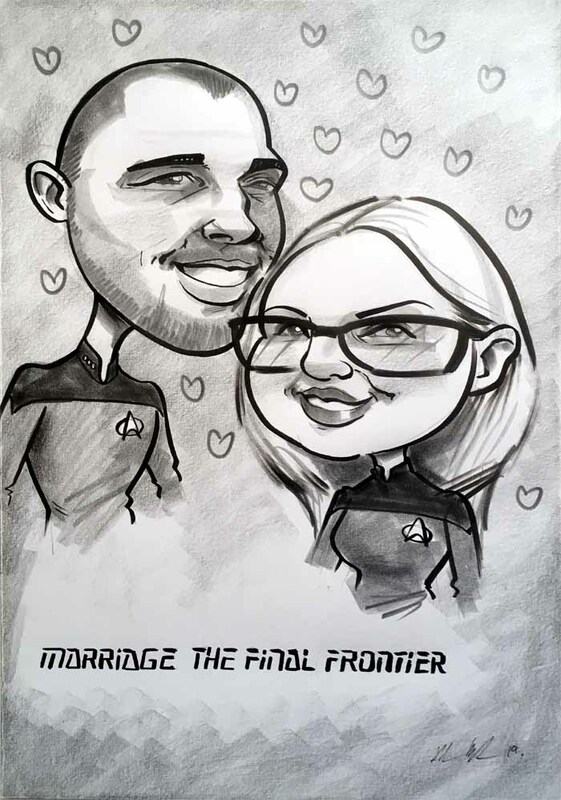 If you’re interested in a Star Trek Theme Wedding Present like the above drop me a line or order caricatures online here!